A quick update. This story has not gone away! 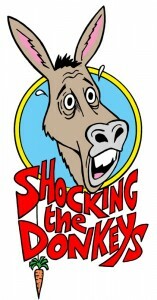 There is now a stage version of Shocking the donkeys available. You can message us for more details, if you are interested in mounting a production. The same hot topic, Gay marriage in Greece, the same tears and laughter. Requires a mixed cast of 21 performers.